As a leading Phoenix RV service provider, Fix-My-RV will make sure your problem is fixed the right way the first time. Jeff Averyt and our team have simple philosophies that make us the top Phoenix RV service company in the area. 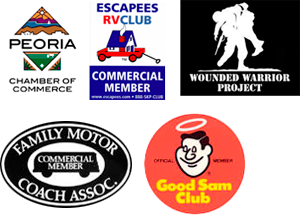 Fix-My-RV treats your RV or camper as if it is our own. That leads to quality service, quality parts and quality repairs each and every time. For each project, Jeff spends the time to go through the details before, during and after the work has been completed. That allows you to have an understanding of what you can expect. Jeff will also show you if there was anything that could have been done to prevent a similar failure in the future. Fix-My-RV takes your time seriously. Our team will work with you to be sure that you have minimum disruption during the repairs – we do this by taking your needs and lifestyle into account. It doesn’t hurt that we will come to wherever you are to complete the repairs. 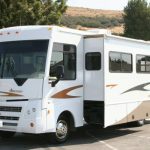 We also carry out necessary annual maintenance services and can run through the annual checklist of services and weatherization needed for your recreational vehicle. Our years of experience in working exclusively in the Phoenix RV service community give us a leg up on our competitors in the area. RV technologies have really expanded in recent years and with each new amenity and upscale addition, service and maintenance repairs need to be acquired. We would love to give you proper advice on each of your RV appliances and the best ways of keeping up with your RV so that it lasts and requires little costs to maintain. For more information or to schedule service, please contact Fix-My-RV today!